Our business model enables you to re-structure your modus-operandi. Not only do you retain up to 80% of all future billings but we provide all the back-up services and support for you to seamlessly continue to trade without all the burdens associated with running a law firm. In addition, if you have the ambition, we will help you to expand the client base. A (which in this case, means you!) 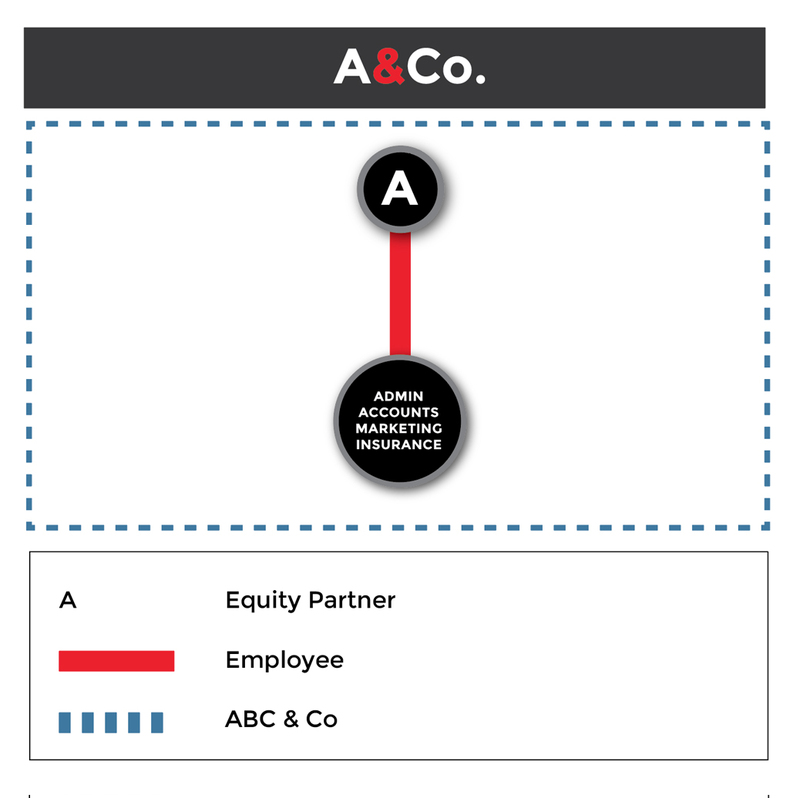 will set up a limited company, A & Co. which must be 100% owned by you. Your new Company will execute a Consultancy Agreement with Lawyers Inc. entitling it to receive up to 80% of the gross fee billing in the future, subject to the deductions set out below. We refer to your new company as a ‘pod’. For expansion, please see How the Model Works for Law Firms for details. You may request Lawyers Inc. to retain the service of non-fee earning support staff such as a favourite PA or receptionist but that would be re-charged. Prior to the commencement date, you will receive full training to use all the administrative, secretarial and IT back-up provided by Lawyers Inc. to ensure you are comfortable with all new software. 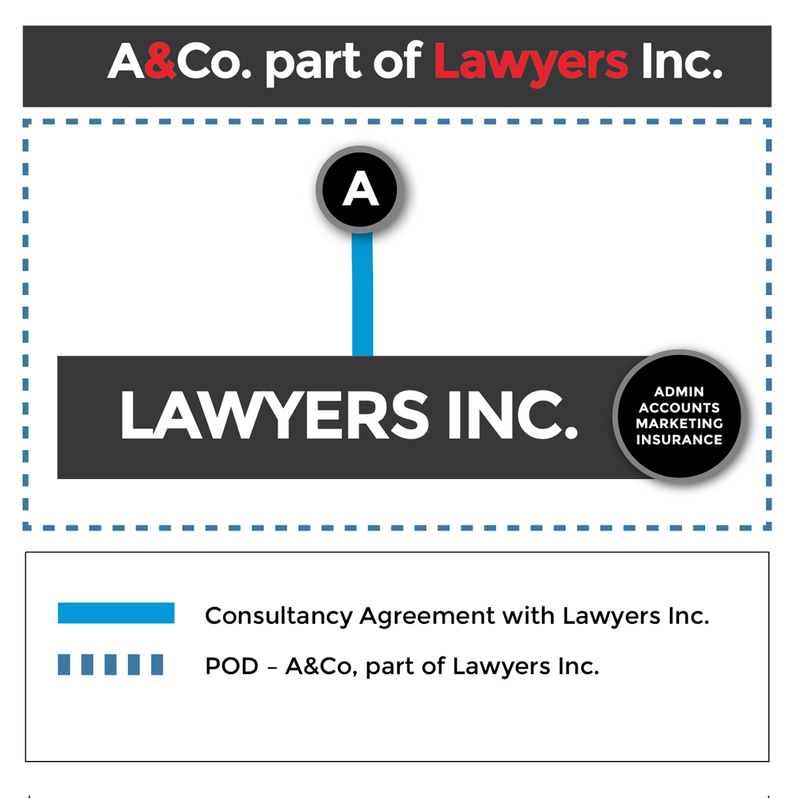 Thereafter, your new Pod, A and Co. part of Lawyers Inc. will seamlessly continue to practise under the auspices of Lawyers Inc. (the commencement date). The new company will execute an agreement with Lawyers Inc. entitling you to receive up to 80% of the gross fee billing in the future, subject to the deductions.